Emil Frederick Meusel was born on June 9, 1893 in Oakland, California. He earned the nickname Irish because he looked like he was from Ireland, when in fact he was not Irish at all. The five foot eleven outfielder was originally signed by the Washington Senators playing one game there in 1914. He spent the next three years in the minors & was then traded to the Philadelphia Phillies. He played there as the teams main left fielder from 1918 to mid way through the 1921 season. In Philadelphia his teams never finished above sixth place. Personally he hit over .300 twice & hit 25 or more doubles for three straight seasons. In July of 1921 he was traded to the New York Giants for Henry Walker, Butch Henline & $30,000 cash. He helped the Giants come back from seven and one half games out of first place at that point, to taking over first place from the Pittsburgh Pirates. Meusel hit .329 and drove in 36 runs in the final two months of the season. Overall his .343 batting average was sixth best in the NL; as he became the first player to have 200 hits in both leagues. He hit 14 HRs (6th best in the NL) with 87 RBIs (6th best in the NL) 33 doubles & 96 runs scored. In the outfield he was he made 28 assists (second most in the league). 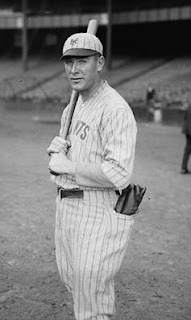 Post Season: In the 1921 World Series, the first ever subway series, he hit .346 (10-29) with a HR & seven RBIs helping the Giants win the first of two straight Championships. In Game #2 at the Polo Grounds he had three hits with three RBIs in the Giants 13-5 win. In Game #6 Meusel hit a two run HR to help the Giants tie the series with an 8-5 win across the river in the Bronx. In Game #7 his fourth inning RBI single off Carl Mays, tied the game as the Giants went on to win it 2-1. In these first three Subway Series he would play against his brother Bob Meusel who batted fifth behind Babe Ruth for the cross town rivals. 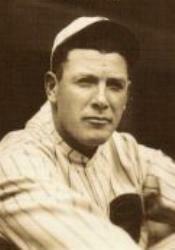 Bob Meusel played eleven years in the majors New York A.L. (1920-1929) & Cincinnati (1930). He led the A.L. 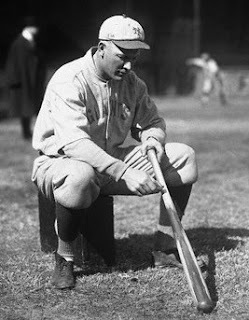 in HRs (33) & RBIs (138) in 1925. He was known as "Long Bob" & would drive in over 100 runs five times, hit over forty doubles five times & hit double figures in triples five straight seasons. In his career, younger brother “Long Bob” batted over .300 nine times finishing with a.309 average, 156 HRs 368 doubles & 1067 RBIs. In 1922 Irish Meusel was second in the National League in RBIs (132), it was the first of four straight years he would drive in over 100 runs. He was second in the league in triples (17) fifth in HRs (16) & sixth in hits (204). He batted .331 and also stole 12 bases posting a .369 on base %. It was also the first of two straight seasons he that he scored over 100 runs. Post Season: In the 1922 World Series he hit a three run HR in Game #2 in the top of the 1st inning off Bob Shawkey. They were the only runs the Giants scored in the whole game, as the game ended up in a tie getting called on account of darkness. He came back to get hits in each of the next three games, while driving in runs in two of them. The Giants went on to sweep the AL New York club in five games played, in that Series. Meusel hit .250 with one HR & seven RBIs. In 1923 Meusel led the N.L. in RBIs, driving in 125 runs, scoring 102 runs. He would hit 19 HRs (4th in the NL) with 14 triples (5th in the NL) & 22 doubles while batting .297 leading the Giants to their third straight pennant. Post Season: In that World Series, the third straight subway series, Meusel homered in Game #2 at the Polo Grounds, making it three straight World Series in which he hit a HR. In that Series his team mate Casey Stengel hit two HRs for the New York Giants as well. Overall Meusel went 7-25, batting .280 with two RBIs, a triple & a double. 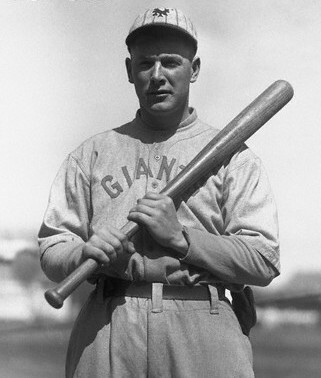 Meusel played three more seasons with the Giants batting over .290 every year, hitting a career high 21 HRs in 1925 That season he came in twelfth in the MVP voting driving in 111 runs, with 35 doubles & a .363 on base %. He also led all left fielders with 15 assists & was fourth in put outs. He would spend his final season playing in Brooklyn with the rival Dodgers. In his 11 season career, he batted .310 lifetime (107th best average all time) with 1521 hits, 106 HRs 250 doubles 93 triples 113 stolen bases, a .348 on base % & 819 RBIs in 1289 games played. He played 1015 games in left field (60th all time) with 103 assists (24th all time in left) 2001 put outs (52nd all time in left) & 83 errors committed 914th most in left). 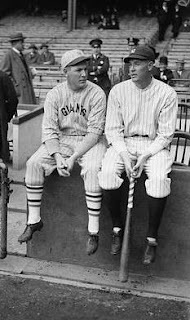 Retirement: After his playing days he was a coach for the Giants under John McGraw with the 1930 NY Giants. He also became an actor, appearing in several Hollywood movies that had a baseball theme at that time. Later in his life he became a security guard at the Santa Anita race track. Irish Meusel passed away in 1963 at the age of 69 in Long Beach California.